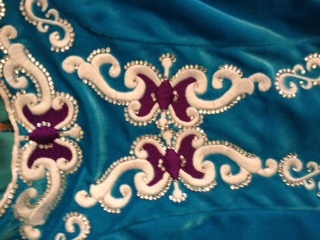 Beautiful velvet bodice with purple butterflies decorated with lots of crystals. 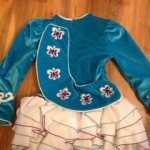 Dress comes with headband and kick pants. 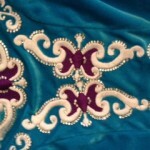 There is a small mark on the skirt that can only be noticed very close up, otherwise the dress is in good condition. 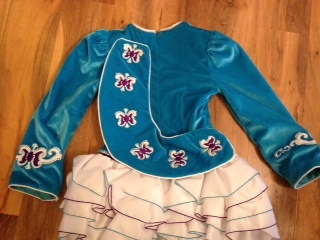 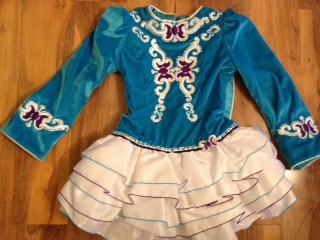 it has been worn by my petite 11 year old and is eye catching on stage.